President Buhari today in Abuja said the long-suffering, commitment and sacrifices of all his supporters over the years will be remembered by posterity, urging them to remain steadfast in pursuing the overall good of the nation. 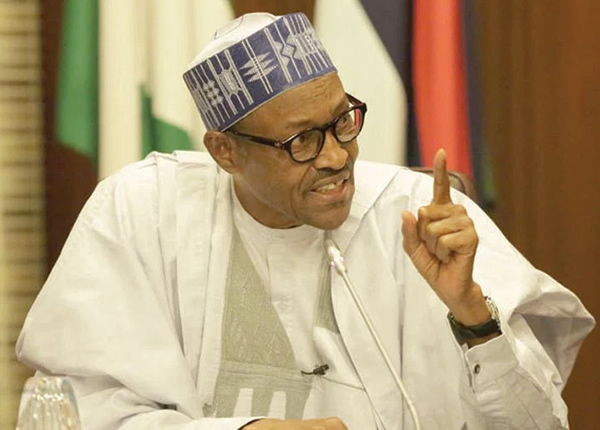 Receiving the Governance Support Group at the Presidential Villa, President Buhari said he remains “eternally grateful’’ for all the personal and collective sacrifices that culminated in winning the 2015 elections, assuring them that all the efforts would never be forgotten. “I can never forget your sacrifices and I am grateful for all. You never gave up when things were bleak, and we needed to survive. I can’t express my gratitude enough. In spite of the environment you found yourself, you kept believing and pushing. Some of you were really exposed to risks. My consolation is that you voluntarily threw in your lot with me. Some of you exposed yourself so much, and I knew it. I urge you to still stick to your principled ways of doing things and our country will be the better for it,’’ he said. The President said the administration had ushered in a new era of accountability and responsibility by auditing and correcting the many wrongs of the past that crippled the economy and created an exclusive class, promising to consolidate on the reforms he had initiated for change in the country. “Some of the things I saw here were unbelievable. I still shudder and wonder how a country can survive under such abuses. It is only by an act of God that we survived,’’ he added. “I want you to maintain your steadfastness. We have gone through the worst of the times. We lost elections three times and I learnt a lot along the way,’’ he said.